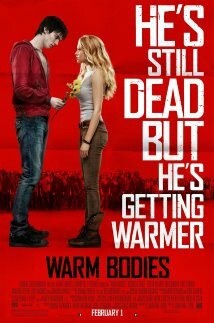 Warm Bodies (2013), PG-13, 98 minutes - This is not your typical zombie flick and the easiest way to describe it is probably by borrowing the tagline from Shaun of the Dead - a romantic comedy with zombies. It tells the story of R (Nicholas Hoult), a zombie in a post outbreak world. He's a relatively new zombie who still has some brain function and humanity intact. In the Warm Bodies world, the virus is degenerative and he knows that one day he'll become a 'bonie' a zombie with no humanity left that will prey on anything it can get it's hands on. One day the group of zombies he is roaming with crosses paths with a group of humans that are making a provisions run. During the altercation he sees Julie (Teresa Palmer) and is instantaneously smitten. He saves her from the zombie horde and provides her with shelter (he has taken up residence in a plan at the deserted airport). She turns out to be the daughter of the leader of the area's human population, a man named Grigio (John Malkovich) who is decidedly anti-zombie of any kind. So her association with R causes some issues, especially when it becomes known that she thinks the zombies can be cured (think along the same lines as the Grinch's heart growing three sizes). It is a unique look at the zombie condition and is a very entertaining flick. 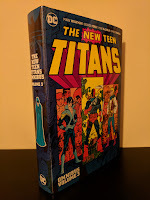 I hesitate to use the word cute, but that's what it is - a romantic story at its core with a comedic tone that is set on a zombie apocalypse backdrop. Hoult and Palmer are believable in this awkward romantic pairing and John Malkovich is John Malkovich. Analeigh Tipton and Rob Corddry chip in nice supporting roles as well. Warm Bodies is well worth a look, if you like romantic comedies or even zombie flicks mainly because it doesn't follow the usual zombie stereotypes.